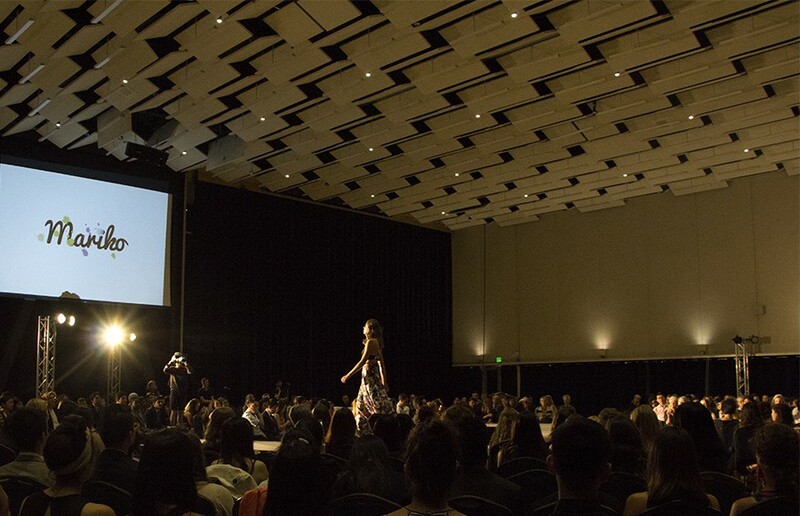 The lights went down and silence replaced the mild buzz and the upbeat music in Pauley Ballroom on May 1. 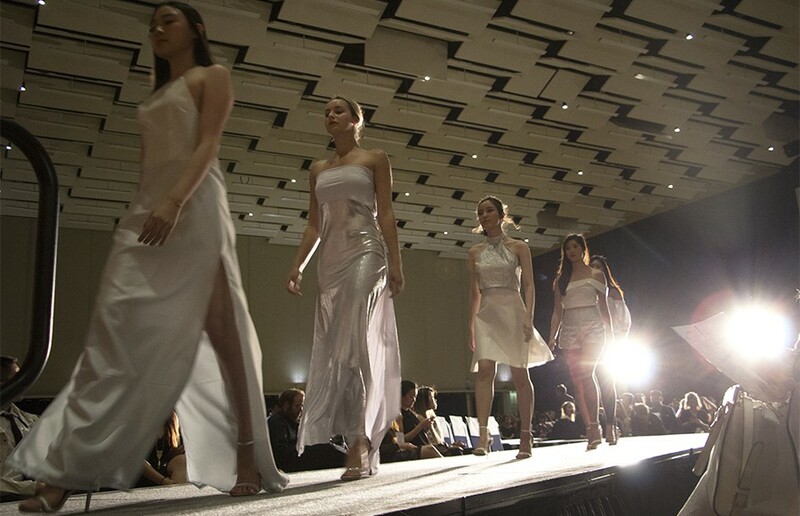 Two feminine silhouettes appeared on the runway, contrasting with the blinding strobe lights, and two gentle voices announced the beginning of the Suprasensory Fashion Show. 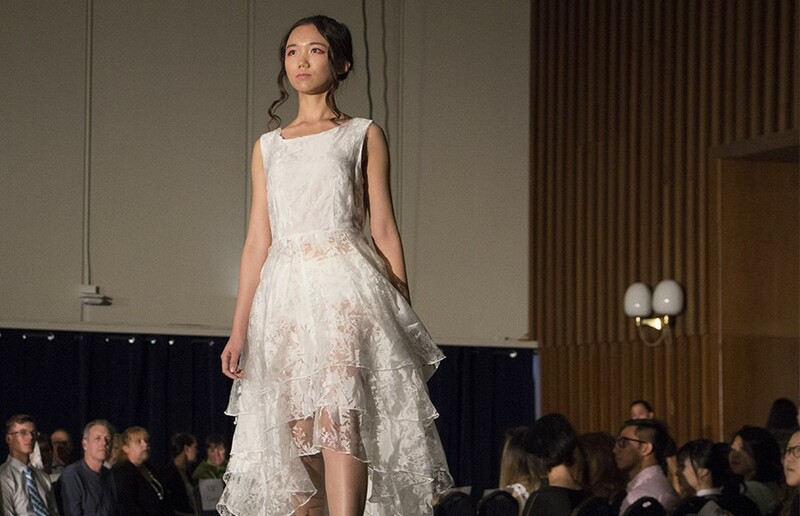 Every semester, Fashion and Student Trends, or FAST, chooses a theme for the show that becomes the source of inspiration for the new and continuing fashion designers. This year, the word that described the spectacular show was “suprasensory” — transcending the merely sensory, beyond the human senses. The designs this year rose beyond not only the sensory but also the imagination. Sahil Mohan took experimentation with designs to a completely new level by using wood in his works, exploring the juxtaposition between the coarseness of the wood and the organic form of a human body. The complementary use of fabric and wood challenged the imagination in a new way; while the fabric wrapped the figure and felt very natural on the model, the wood created a solid frame around the design, as if it were an independent part of the outfit. Mariko Stenstedt filled the dark hall with colors and flowers, presenting her “Iridescent” collection. The clothing was vibrant and eye-catching, yet sensual and feminine. The models in each outfit looked like blossoming flowers walking down the runway. Her works ranged from dresses to flowy skirts, all perfectly matched with crop tops. She masterfully combined patterns with single-colored fabric, allowing the accent to always stay on the vibrance of the colorful prints yet not let the design look overwhelming. But one of the most memorable collections of the show was Shahir Shukor’s “Self Form-Ative Love,” inspired by a self-written poem. The collection celebrates “life as a collective art,” devoted to those who “work on the enlargement of spaces in our lives.” Shukor presented a simple combination of black and white paired with geometric patterns, all softened by transparent fabric. While the geometric shapes gave an air of fierceness to every model, the transparent and flowing elements made the model appear feminine and soft. He created a harmonic contrast between strength and fragility, power and gentleness. 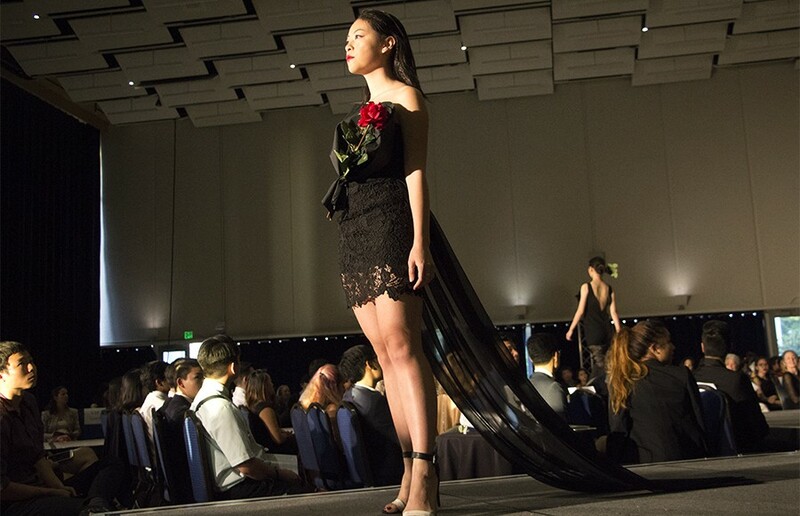 “Self Form-Ative Love” was his last collection as a UC Berkeley student, and he is leaving a very strong imprint in FAST as an outstanding and unique designer. 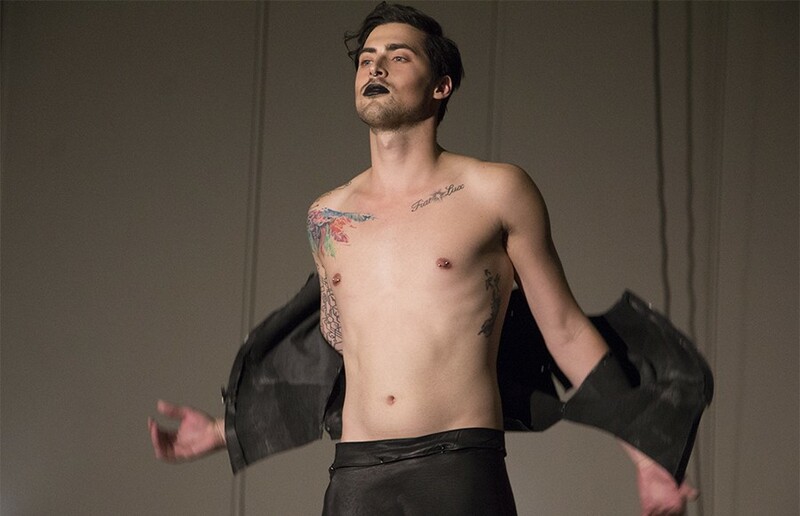 FAST has been the advocate of style, fashion and self-love on campus since 2005. 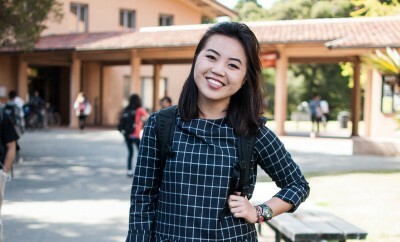 Caught up in the overwhelming and unstoppable student life at Berkeley, a lot of students forget about fashion — naturally, it becomes secondary in comparison to all the goals the students promise themselves to achieve at one of the most challenging institutions in the world. And this is where FAST comes to help: It brings together the people who view fashion as their way of self-expression. FAST inspires everyone on campus to attend the castings with the belief that everyone deserves the short but fulfilling 30 seconds on the runway, looking beautiful and wearing a look designed specifically for them. With Suprasensory, their goal is to promote self-respect and self-confidence, and to help everyone embrace themselves just the way they are. Contact Marina Chilingaryan at [email protected].